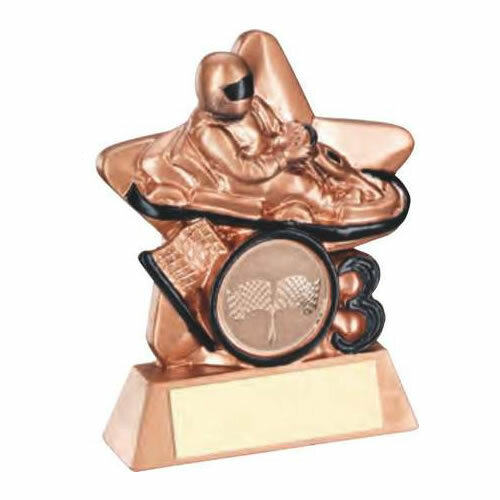 These motorsports third place trophies are suitable for a wide range of motorsports events and achievements. Made in durable resin, they feature a go-cart with chequered flag against a star background, with a 1in motorsports theme centre, on a bevelled base with engraving plaque. These 3.75in (95mm) tall awards are finished in a bronze colour and include a number three legend in the design. They are offered here with engraving options for the base plate.